Travel to Mesa Arizona to watch the Chicago Cubs get ready for the 2019 MLB season! Trip features round trip airfare and transfer, four night accomodations at the Hilton Phoenix/East Mesa, breakfast daily, a welcome party including appetizers and soft drinks, and dinner at Rustler's Roost. The main event of the trip is getting to see the Cubbies play three of their Spring Training games! For complete trip overview and details click here. The Lake County Farm Bureau's annual Family Bowling Event is scheduled for Sunday, March 17th at Bertrand Lanes in Waukegan. Cost for the event is $5/LCFB member, $10 for non-members, with children of members 13 and under as well as seniors 65 and older bowling for free. Three games, shoe rental, pizza, and the chance to win free drinks are all included in the cost! For complete trip overview and details click here. 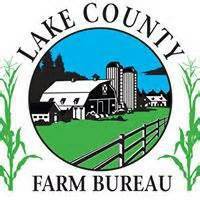 Visit the Chicago Flower show with the Lake County Farm Bureau on Thursday, March 21st. Included with this trip are tickets to get into the 2019 Chicago Flower & Garden Show as well as transportation via motorcoach from the Lake County Farm Bureau office in Grayslake to the show which is held at Navy Pier. For complete trip overview and details click here. Experience a beautiful two-week cruise of Hawaii on this spectacular getaway! This trip includes all meals, breakfast, lunch, and dinner included every day of the trip, and ten days about the Carnival Legend, and two nights in the Hilton Hawaii Village, Ocean View. Ports of call include Honolulu, Hilo, Nawiliwili, Kona, and Kahului. For complete trip overview and details click here. Revel in the natural beauty of the Pacific Coast experiencing wonders of the Columbia River Gorge, glorious mountains, magnificent redwood trees, lush vineyards, and the exciting "city by the bay." This nine-day trip includes thirteen meals round trip airfare and airport transfers, and guided tours at some of the most magnificent sites the Pacific Northwest has to offer. For complete trip overview and details click here.